The iPhone might come with a pretty great battery but if you’re anything like us you use your phone for all it’s worth and the battery doesn’t always last all day. These battery cases can help. The following battery cases will significantly extend your time between charging by effectively doubling your battery life. Each case is a little different with some benefits and drawbacks that are, typically, reflected in the price. Read on as we outline the perks of each case and why you might want to pair it with your iPhone 7 or iPhone 8. Do note: Although some products are still labeled “iPhone 7” the form factor of the two phones allows for the cases to be used with either model, if they are made in spec. 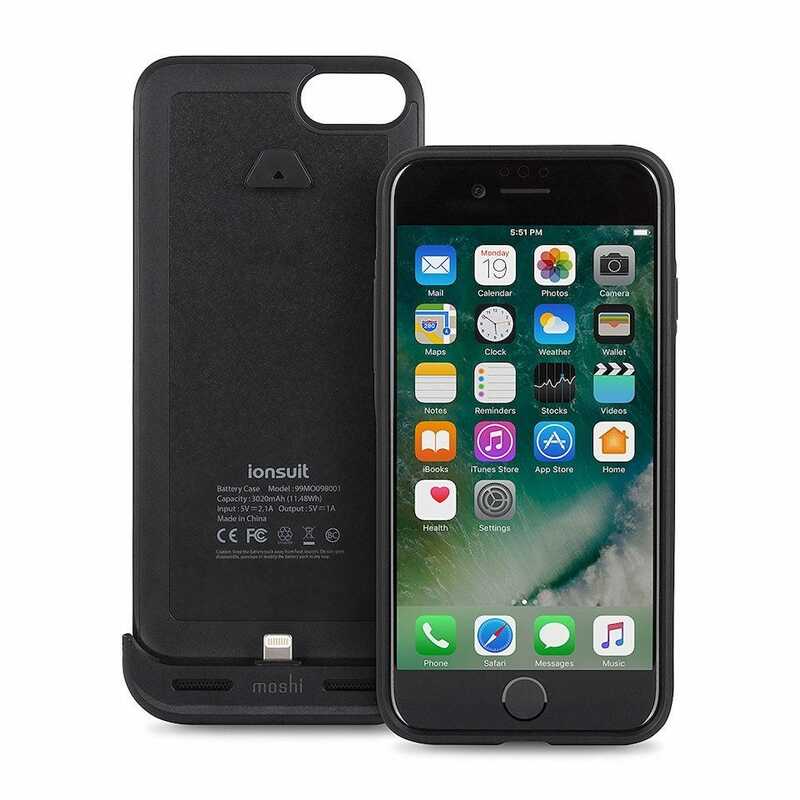 Going straight to the source is always a good move, and Apple’s iPhone 7 Smart Battery Case is a perfect fit for both the iPhone 7 and iPhone 8 both in specifications and integration with the device. The case promises increased talk time of up to 26 hours, with internet use on LTE of about 22 hours. If you’re dragging things out in airplane mode and just listening to music or watched video stored n your phone, then you can expect and even longer run time before recharging. Via Notification Center and the iPhone Lock screen, you can see exactly how long you’ve got left so you’re always in control—this integration with iOS is a unique feature. The case feels good too. The body is a quality silicone that feels nice in your hand and offers a good grip, and the soft microfiber lining protects the body of your phone. There’s no on/off switch but rather the case acts as a natural extension the battery, constantly topping off the phone’s internal battery. Although the case works wonderfully and integrates flawlessly with iOS there is one thing that is off putting to many buyers though: the tumor-like protrusion on the back. Unlike any other case in our lineup, Apple opted to minimize the general bulkiness of the case by reducing the filler around the battery. It is, in fact, a bit ugly—but having used various Apple battery cases over the years starting way back with the iPhone 6, we can attest to how well they work if you can get past the odd design choice. 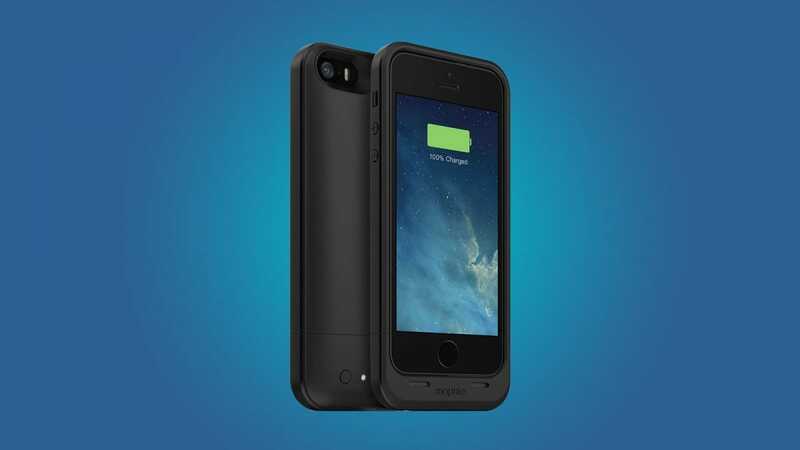 The Mophie Juice Pack Wireless Battery Pack does a little bit of everything. As a case, it’s light weight and comfortable to use, while also offering rubberized support pads that protect your phone from accidental tumbles. As a battery case, it promises 100% more battery life than a stock phone and features a handy LED indicator bar on the back of the case to indicate how much life is left in the case battery. As well as that, it still manages to support wireless charging so it’s easy for you to charge up your iPhone at any wireless charging port without needing to remove the case first. The charging ports and buttons are still easily accessible too, so there’s no inconvenience. 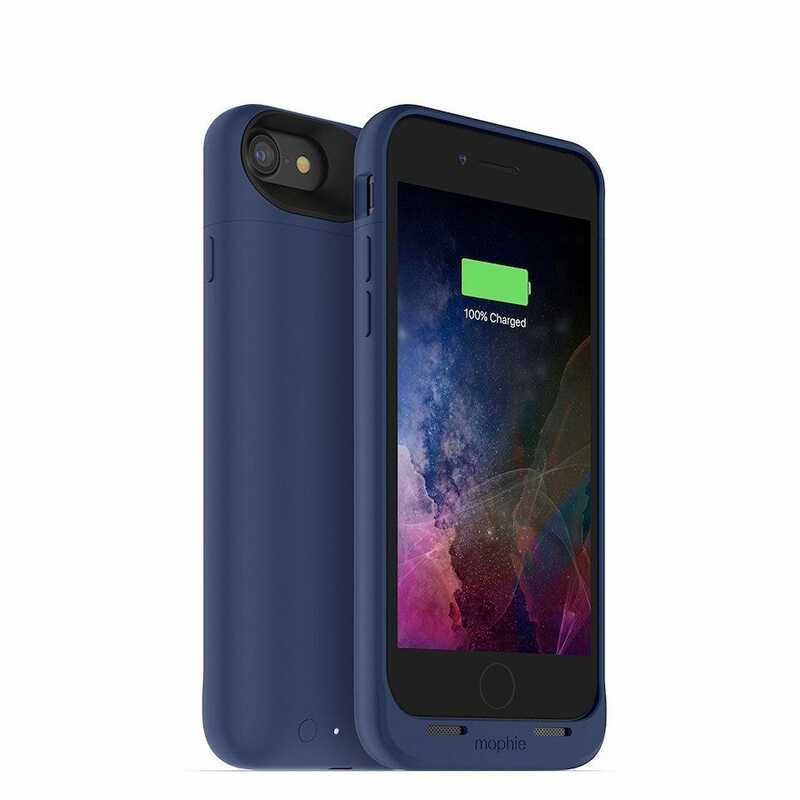 With a two piece slide-on design, the Moshi IonSuit iPhone 8/7 Battery Case is easy to apply while still keeping your iPhone as slim. Its battery more than doubles the iPhone 7’s battery life with intelligent power management circuitry giving it quick charge support. If that’s not enough to appeal to you, its case is drop rated and features a raised bezel to protect your screen from impact. There’s the all important power button too, so if you’d prefer to only deploy your battery backup when needed, your iPhone won’t have its charge topped up until you say so. 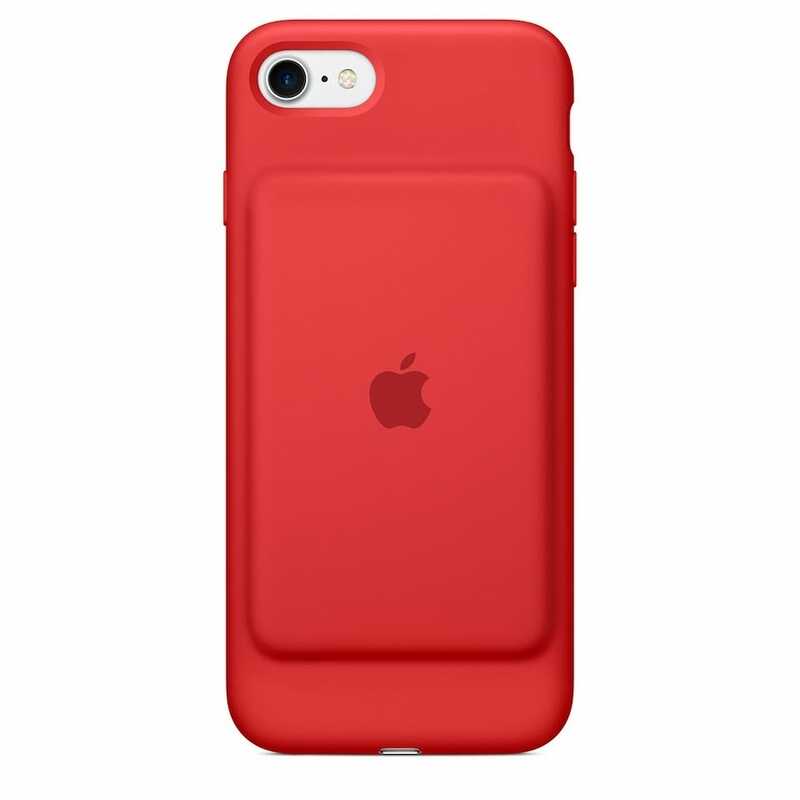 The Alpatronix iPhone 7 Battery Case is a fine mid range option, covering most of the bases expected of it. Its battery has more than 100% of your conventional charge, it looks quite stylish and slimline, and it’s easy to apply. Dual-layer protection means a scratch-guard for the iPhone screen, and there’s a raised bezel to keep the iPhone’s screen safe. 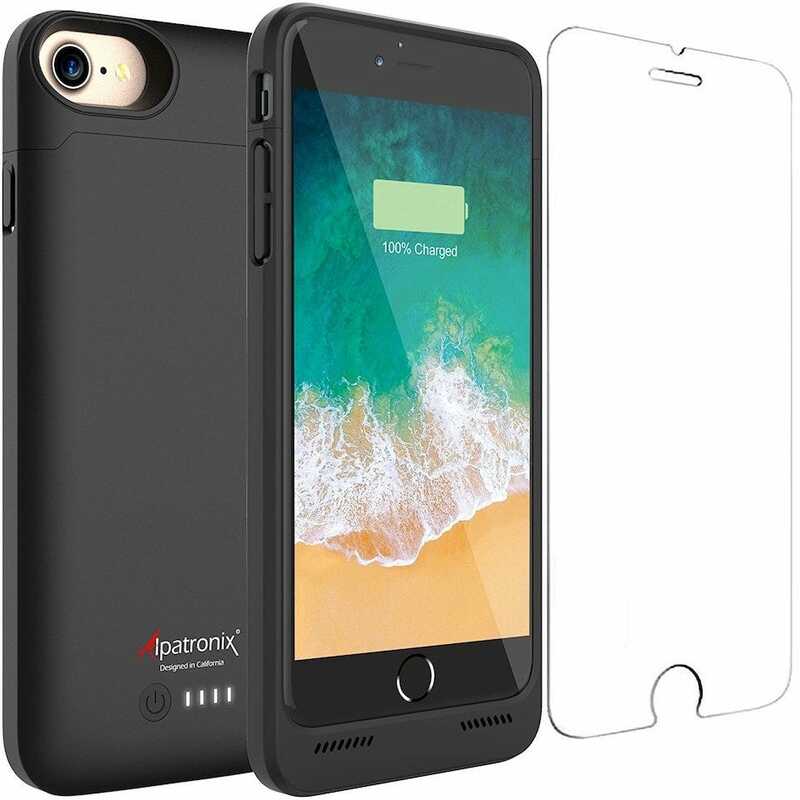 The only noticeable issue for the Alpatronix iPhone 7 Battery Case is that it doesn’t support wireless charging which is an irritant if you’re using it with an iPhone 8. It’s not the end of the world given the price, but it is something to consider if you want to get the absolute most from your iPhone 8. Other than that, it’s great value. 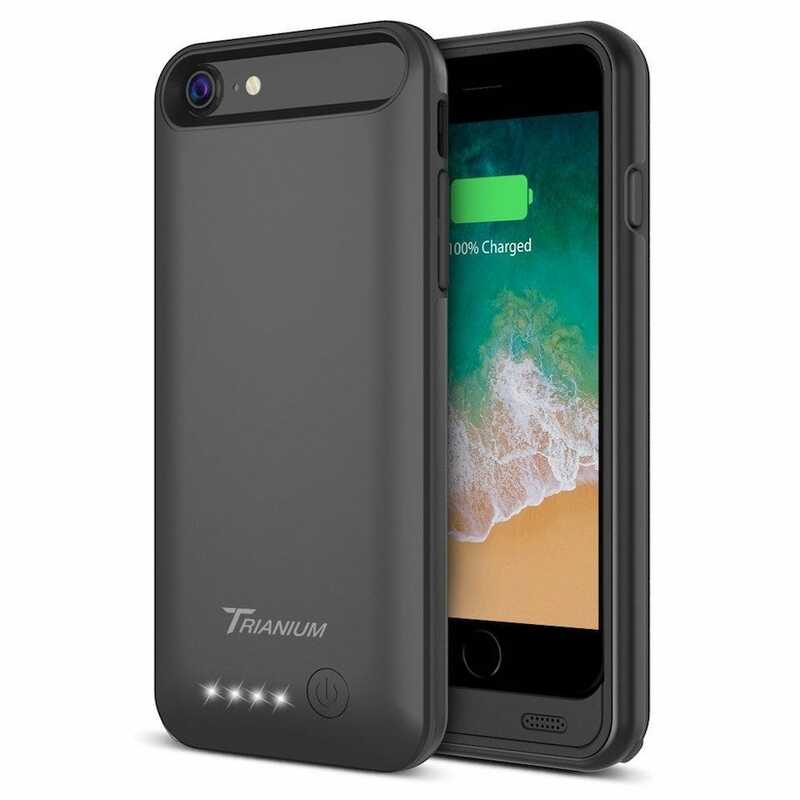 The Trianium iPhone 7/8 Battery Case is another case that won’t support the iPhone 8’s wireless charging but it does look pretty great. Its battery life is weighty enough to offer over 100% extra juice for your iPhone, and its hard shell backplate means it’s handy in a fall too. Bumpers around the edge keep it extra safe, while still being reasonably comfortable to fit in your pocket. 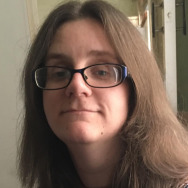 For some, the important part is that it still looks good too. It’s not painfully chunky by any means, while still keeping you safe. There’s the all important LED indicators, along with an on/off button for added convenience. It’s suitably light too. The only downside is that the charger is a micro USB port instead of Lightning. While all of us have micro USB cables, of course, it does mean keeping an extra cable in your car or travel bag if you want to charge the case on the go.